Recently we moved down south, and I really thought that losing the fall season would be super hard. What I’ve done is incorporate all of our New England traditions. 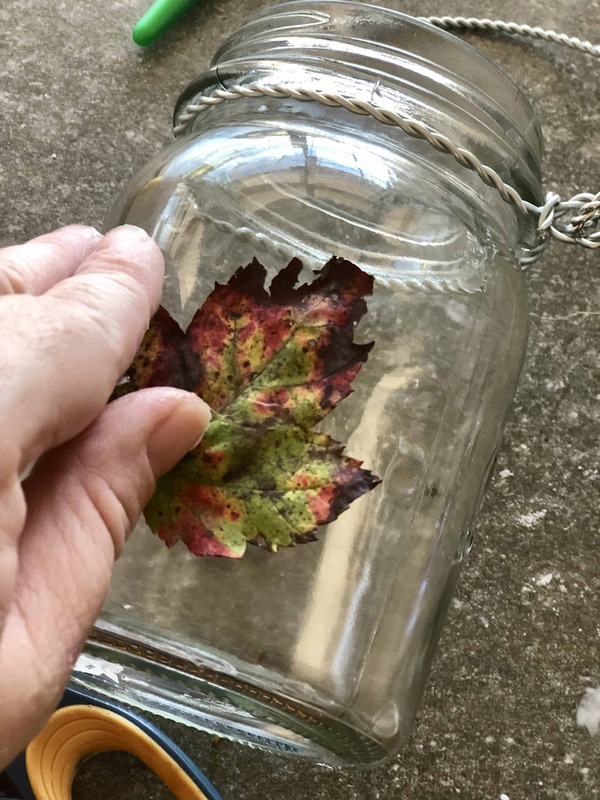 I wasn’t quite sure how I was going to accomplish an easy fall leaf craft in a state with leaves that don’t really change – but after a quick visit home for my nephew’s baptism, and a morning of gathering just a couple of leaves, and some acorns sent from my mom in Maine and I did it. As I’ve mentioned, we made a trip to New England this fall. Besides the fact that it was part of “the deal” with my husband that we would visit New England each fall after moving to Florida, we had a family gathering for my nephew’s baptism. As a result, we were able to not only get a visit in to Connecticut, but we were able to see so many more people in our family than a regular trip may have afforded. The only missing piece was a weekend in Maine. We’ve always made a trip to Maine in the fall. It’s beautiful. So, in anticipation of that, I asked my mom to send me acorns. Lots of them. I had big plans for them and I wasn’t going to be able to gather them myself, and I didn’t want store bought acorns. I wanted the real thins. From a place that was important to us. Mom recruited dad, and my aunt and uncle, and as a result I was sent a wonderful package of acorns right to my door! A few leaves from my Aunt Monica’s yard. I gathered the supplies I needed to start. 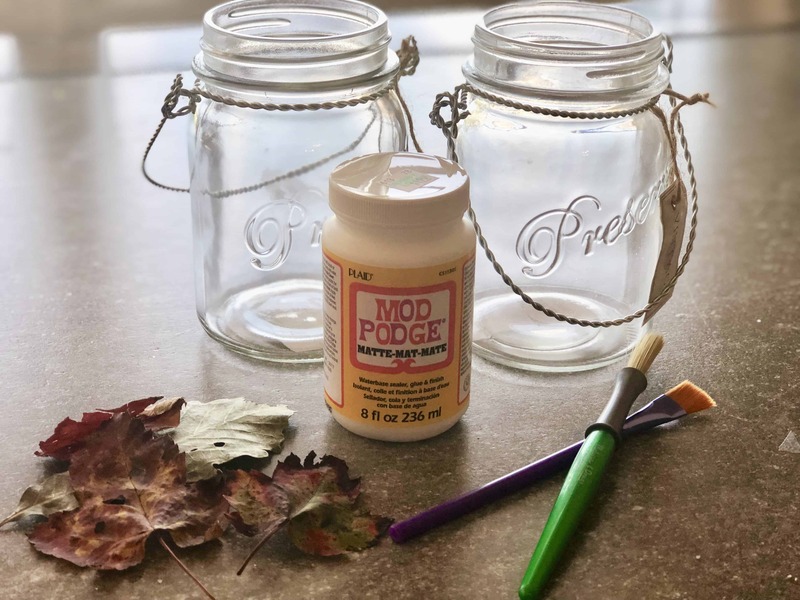 Two glass jars, my leaves, brushes, and Mod Podge. I placed the leaves where I thought they would look best. 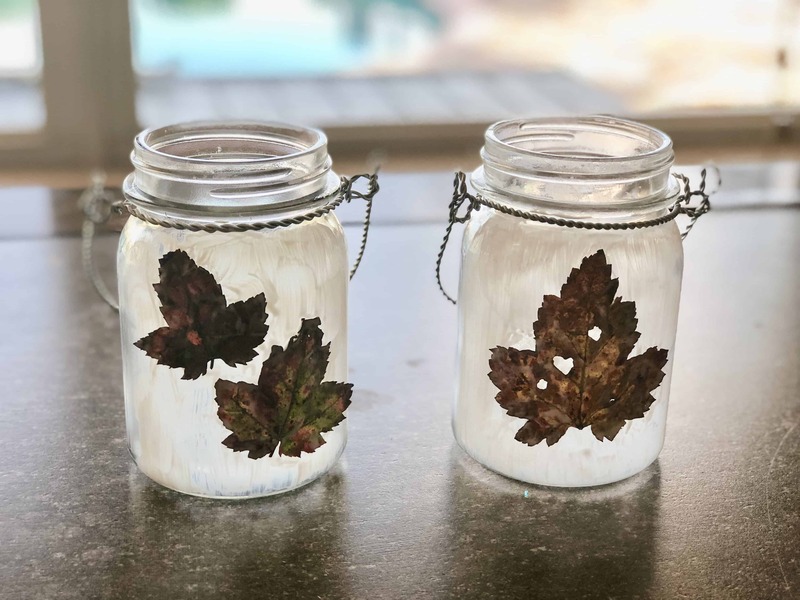 I brushed the Mod Podge over the leaves and left them to dry for about 20 minutes. I then did a second coat because the leaves were pretty dry by the time I got them home. 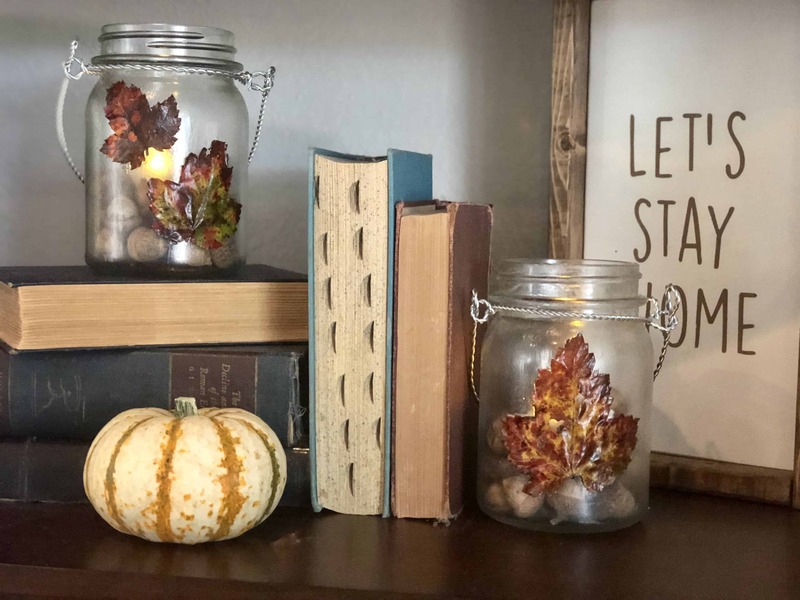 I added the acorns from mom, a flameless candle, and I place it on the shelf. Wahlah! My craft was finished. Just like that! I’m pretty sure mom will be happy at how I used (and will reuse every year) the acorns she sent me! 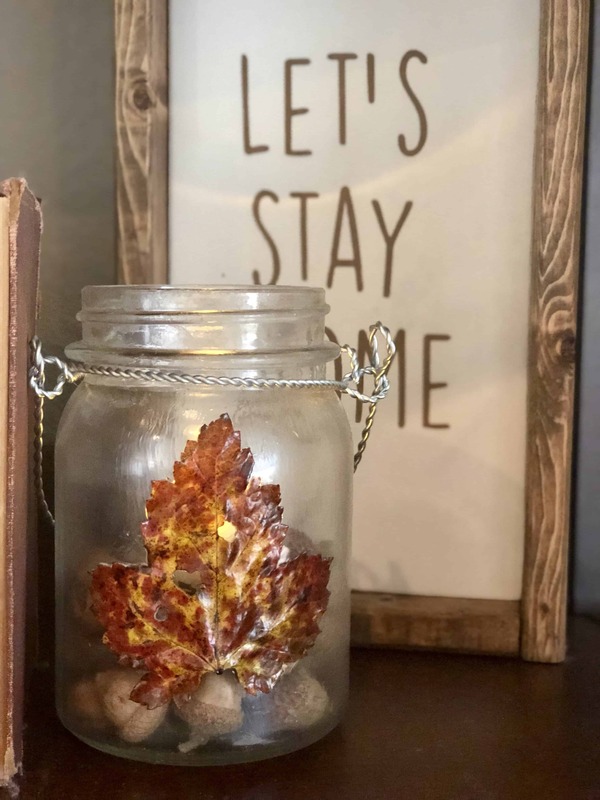 And now, we have memories of two of the places we love that will be displayed on our shelves every year reminding us of a precious weekend and wonderful times spent with family.